Ginger has been widely used to alleviate the nausea associated with pregnancy, motion sickness and chemotherapy for years and may also be effective in treating osteoarthritis and heart disease. 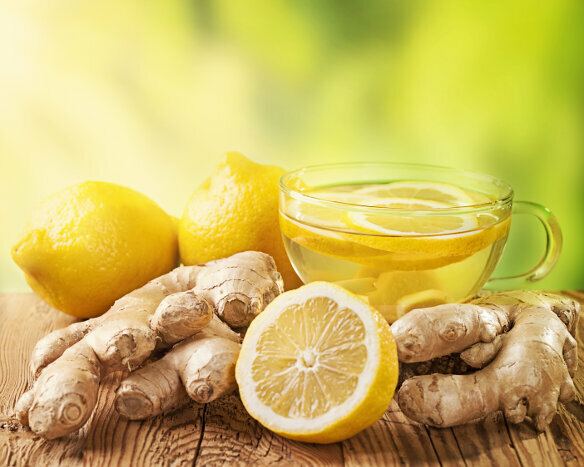 While many have taken advantage of the root’s properties by eating crystallized ginger, sipping real ginger ale or adding the spice to favorite foods, ginger tea is another healthy way to reap the benefits of this traditional remedy. Ginger is most commonly known as a baking and cooking spice, but it is actually the root of the Zingiber officinale plant. The plant is characterized as a leafy green plant that develops white and pink flower buds. The roots range from brown to a light tan and are generally around six inches long, although mature roots may grow even longer. Ginger is especially popular in traditional Chinese medicine, but the roots can be found throughout Asia, Africa and Australia. Relieving nausea. Ginger has been shown to perform better than placebos in research trials for both motion sickness and pregnancy-related nausea. Its antispasmodic properties help calm the digestive tract, and it doesn’t have many of the adverse effects reported with other medications. It is also being explored as a possible treatment for chemotherapy patients experiencing nausea as a side effect. Being high in antioxidants. Ginger is especially high in antioxidants, with only some berries and pomegranates having higher levels. These antioxidants can help combat internal and external signs of aging and help your body deal with the effects of stress. Antioxidants also clear skin and promote general well-being. Acting as an anti-inflammatory. Ginger’s anti-inflammatory effects can be attributed to its high levels of gingerols, which help reduce the inflammation and pain associated with osteoarthritis and rheumatoid arthritis. These same compounds may also help reduce inflammation in other parts of the body, including that which is associated with certain skin conditions. Ginger tea offers a nice balance between a deep earthiness and clean flavor, with just a hint of citrus. It has a “hot” spice that generates internal warmth, making it perfect for those who want to boost circulation or just need a bit of extra heat on chilly winter days. 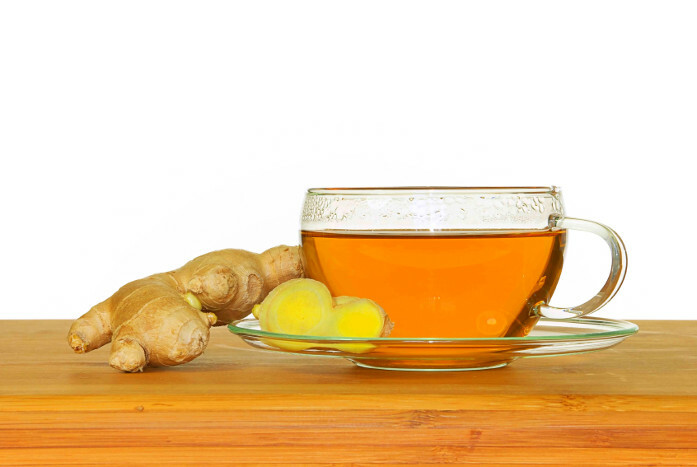 Ginger pairs well with a variety of other teas, add-ins and homemade snacks. For those who prefer their tea as natural as possible, a squeeze of fresh lemon adds a nice tart contrast to the spice. Honey, agave nectar or even milk can help mellow the heat if you’re looking for a milder taste. Ginger tea also works well with other spicy teas, such as cinnamon or holy basil. Ginger’s noted health benefits and ability to alleviate and prevent nausea make it one of our favorites. The warm spicy flavor is the perfect blend of familiar and exotic, and it is generally easy to find at most big box and health food stores. It’s safe for most people, including pregnant woman, but those prone to heartburn or gallstones or those suffering from certain blood-clotting disorders should check with a doctor before use.